Welcome to Heartland Harps & Music! We’ve been handcrafting harps since 1984. 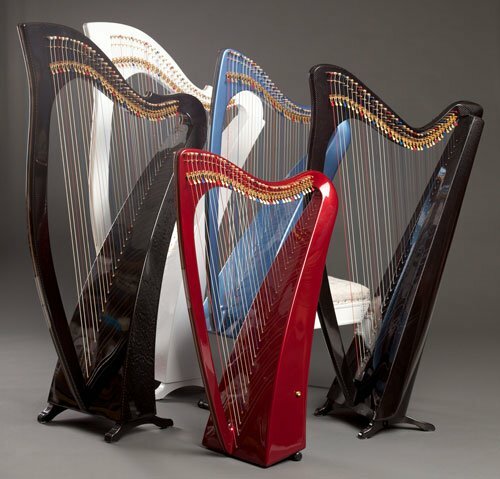 For the first 25 years, we built wood harps in a variety of models. 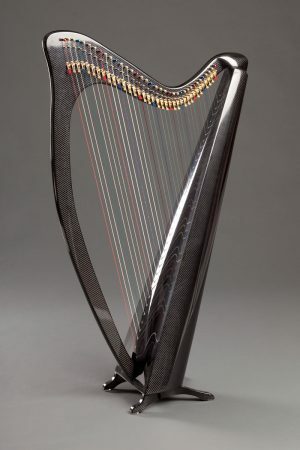 Then in 2009, we fused the art of harp-building with cutting edge technology and introduced the first harp model fabricated completely from carbon fiber—creating a harp that is lightweight, impermeable to the elements, and virtually indestructible. To date we’ve built nearly 1,000 carbon fiber harps for delighted customers all over the world. 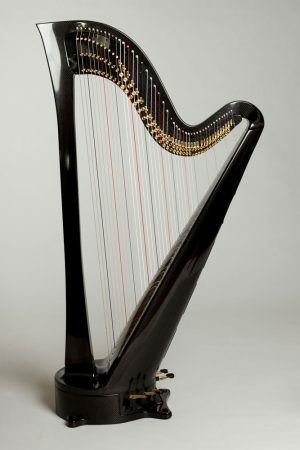 We currently offer five models of harps, including both lever and pedal harps. And, coming soon… a 25-string lap harp that’s ideal for travel or therapy. Playing beautiful music for an outdoor event, with no concern about whether or not it rains. Carrying your harp easily from car to gig to house to gig again, and never worrying about dings or nicks. Getting incredible volume and tone automatically, without overplaying your strings. Stopping for a leisurely lunch and leaving your harp in the hot car, knowing it won’t be damaged. See what our Heartland family has to say about their harps on our Testimonials page. 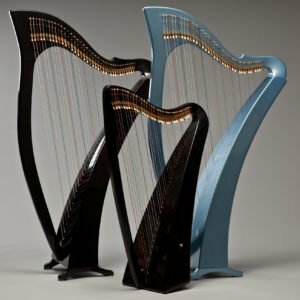 Hear a side-by-side comparison of the carbon fiber harps to a comparable wood harp at our Harp Tasting page. Feel free to email us at info@heartlandharps.com, or call 800-969-4277 or 828-708-2354 with any additional questions. We look forward to helping you own the harp of your dreams! I want to learn more about Heartland's carbon fiber harps, and keep up with news, events, and limited-time offers. We value your privacy - we never sell, trade, or give away your information! Be notified of Heartland happenings such as new and enhanced harp models, events, and limited-time offers–delivered right to your inbox!